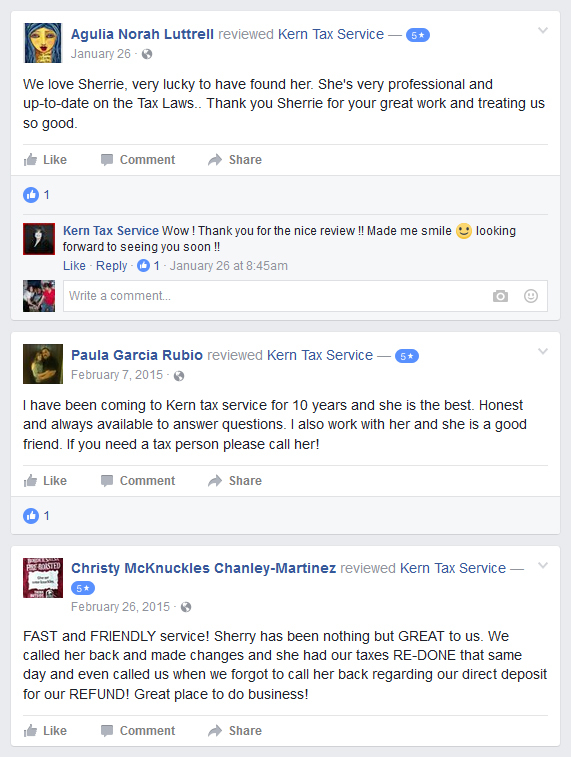 Kern Tax Service in Bakersfield, California offers professional tax preparation at an affordable price. 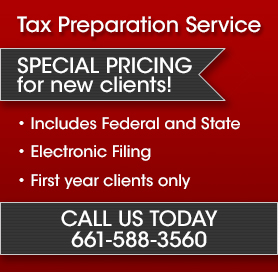 When getting your income taxes done you want a tax preparer that is both professional and affordable. 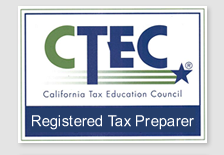 We have prepared over 40,000 income tax returns. Our experienced accountants provide a professional level of service that you can’t always find at the big nationally franchised tax preparation firms. ©2016 Kern Tax Service. All Rights Reserved.